With a dizzying selection of mouthwatering food, Bangkok has long established itself as one of Singaporeans’ coveted holiday destinations. In this food paradise, chefs constantly experiment with different ingredients to create novel combinations of flavours. 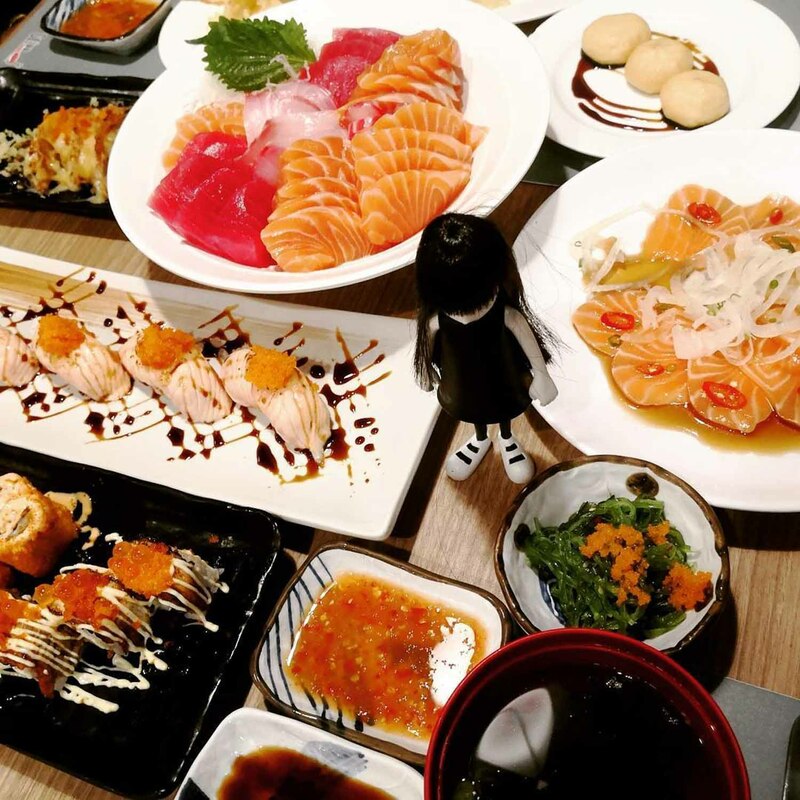 Standing on the shoulders of its cheesy giants is Gojuu Sushi, which has bamboozled diners with its Cheesy Sushi. Fun fact: Gojuu translates to ‘50’ in Japanese and Gojuu Sushi lives up to its namesake by offering a 50% discount off its full menu! 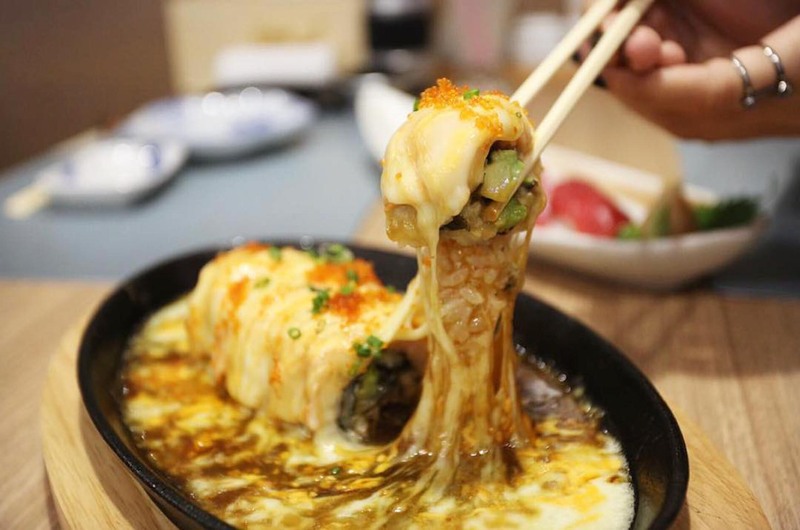 The most eye-catching dish is the Special Roll Cheese Lava (THB550++/~$23.67++). 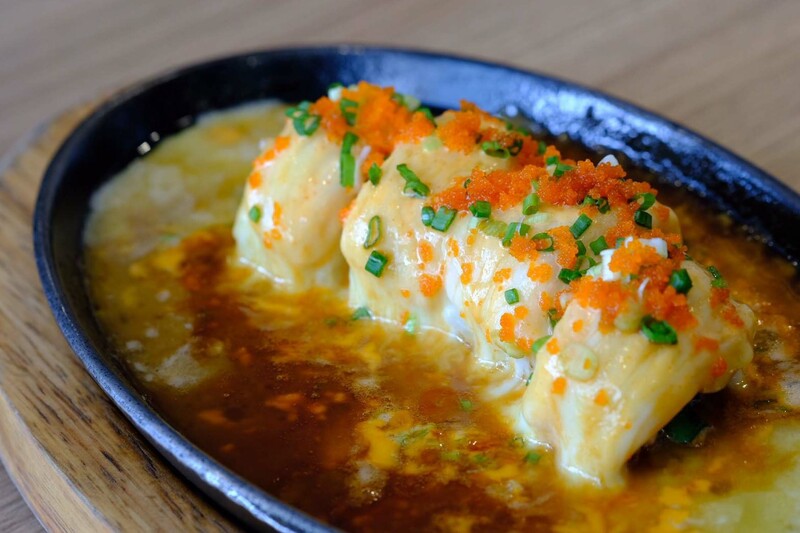 Four aburi salmon maki are blanketed in a thick coat of melted mozzarella. The sushi is subsequently drizzled with both soy sauce and a piquant Japanese BBQ sauce. A liberal sprinkling of ebiko (shrimp roe) and chopped scallions cap off the dish. The mozzarella’s playful pull sets the scene for the perfect #cheeselover IG post. If you are seeking to feast like a king, take a flyer on the Japanese Premium Buffet. 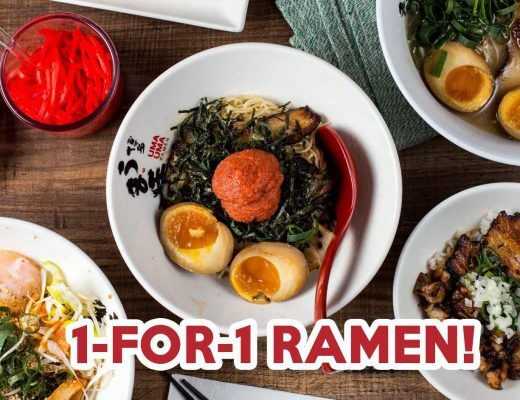 At THB599++/~$25.77++, feast on a smorgasbord of entrees such as Salmon Aburi (THB70++/~$3.01++), Negitoro Don (THB450++/~$19.36++) and the crowd-pleaser Philadelphia Roll (THB300++/~$12.91++). 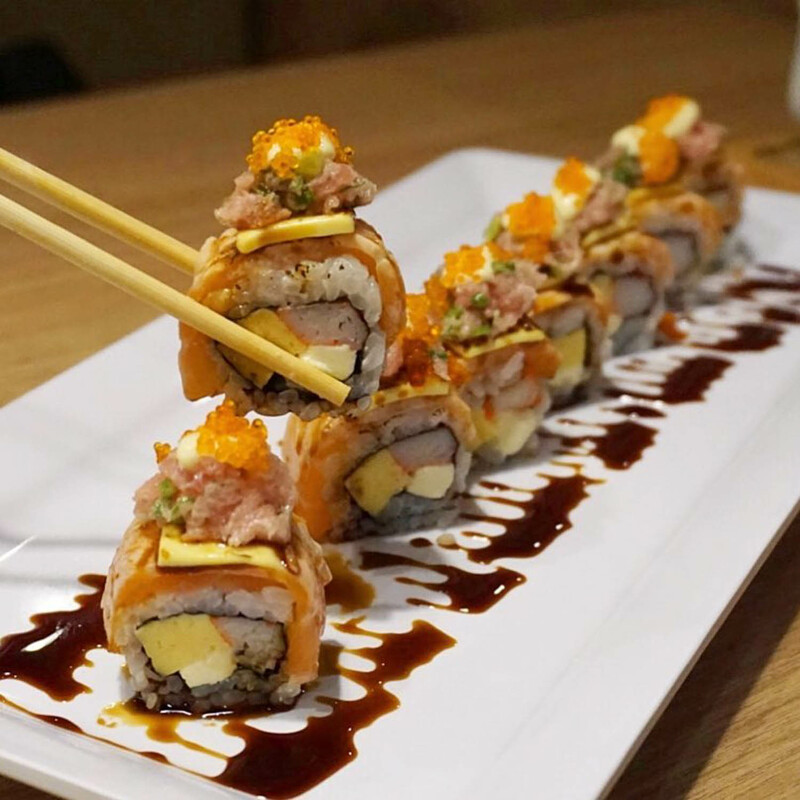 The Philadelphia Roll comprises aburi salmon maki stuffed with cream cheese, tamago and crab sticks, and topped with grilled swiss, chopped toro (tuna) and ebiko. Living up to its name, the dish is certainly quite the mouthful. 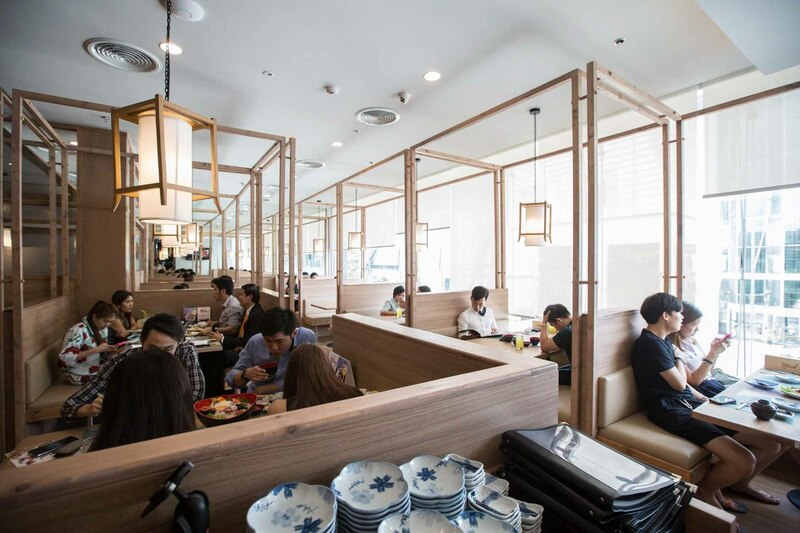 Should you be in the Siam district for your next shopping escapade, drop by Gojuu Sushi on the fourth floor of Siam Centre and indulge yourself in affordable Japanese cuisine! 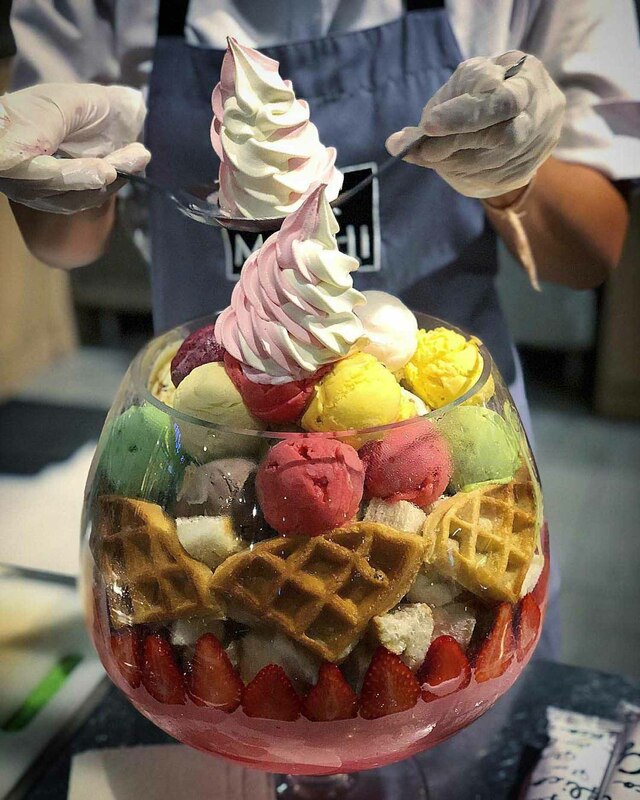 While you are there, be sure to check out Mo & Moshi, a dessert shop which serves a whopping Giant 22 Scoop Ice-Cream Sundae! Find out more about Mo & Moshi below! 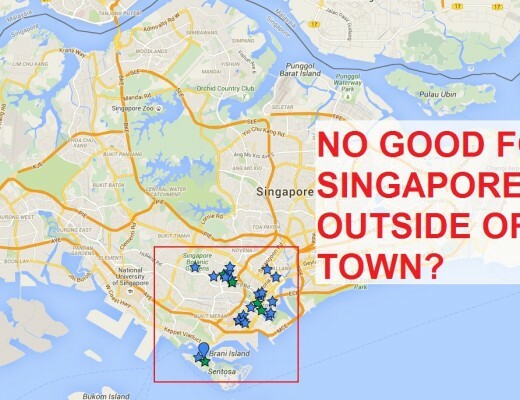 Gojuu Sushi is not a halal-certified restaurant. Featured image adopted from Gojuu Sushi Facebook page.